In light of the recent rhetoric on immigration, vitriol concerning Islam in general, and the looming election, I would like to address the rise of a dangerous, misguided line of thought now pervading our national discourse, or lack thereof. 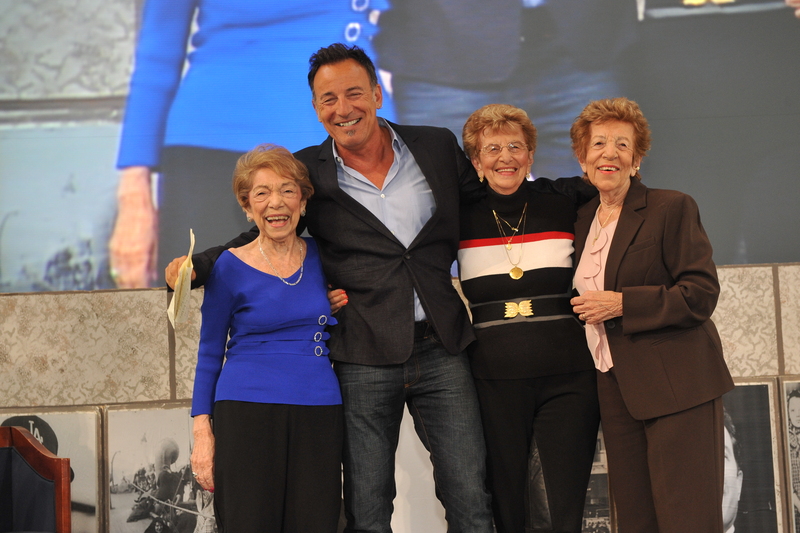 The recent hate filled spewing of Donald Trump reminded me of a speech a few years ago, given by the modern American poet, Bruce Springsteen, in accepting an award from the Ellis Island Family Heritage Award in 2010 alongside Dikembe Mutumbo and others for their contributions to American life. 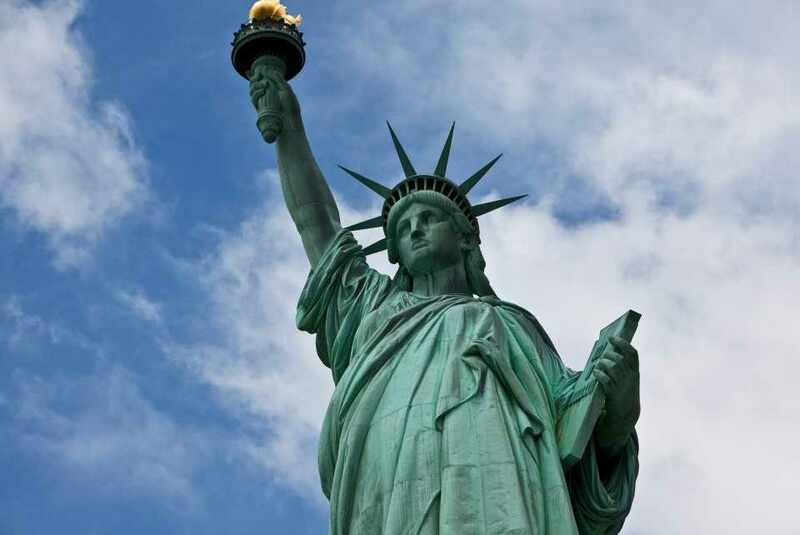 The award honors Americans whose families came through the Port of New York and Ellis Island. Fine words spoken that I wholeheartedly agree with and believe we all should hold dear. As unless your family was here on this continent prior to European settlement, or unless you’re ancestors were brought here against their will, we are all a nation of hopeful wanders. My own family’s history, on the fraternal side, can be traced back to Germany from which the first Hilligoss crossed the Atlantic and entered the country through the Philadelphia immigration office. Further investigation reveals some of our descendants originally resided in France but were driven from their homes due to their involvement with the early Protestant Church. These early family members were part of the exodus resulting from the French Huguenots. I am sure many of you have similar stories in your backgrounds if you cared to look. Many of your families came to this land looking for a better life, religious or political freedom or simply, just a second chance. What concerns me is the current level of resentment and blind hate leveled at many individuals or groups of immigrants, whether they be Middle Eastern, Latinos, Africans, Polish, or from any other country, religion or ethnicity. Especially gut wrenching is the recent spate of hatred towards Muslims centered around the San Bernardino shootings. It is not surprising that a great majority of the criticism comes from supporters of Donald Trump and the Tea Party. The ideology of the Tea Party brings to mind another xenophobic movement in our nation’s history:The Know Nothing Party. 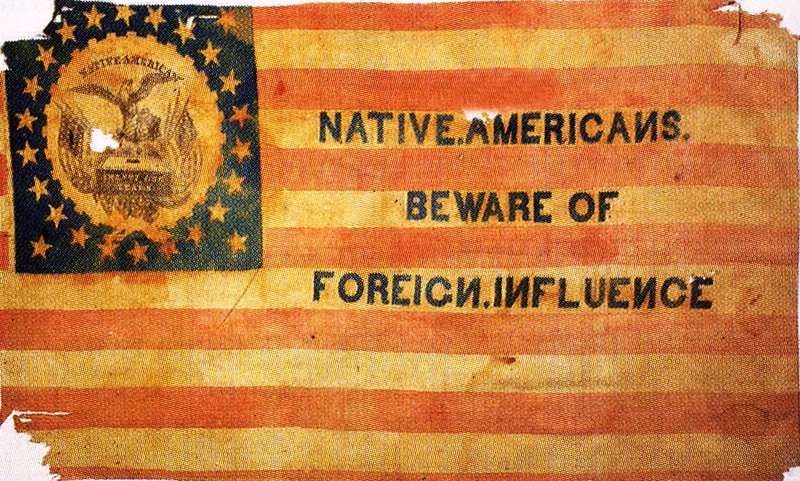 The Know-Nothing movement was a nativist American political movement during the 1840s and 1850s. It centered on popular fears that the country was being overwhelmed by German and Irish Catholic immigrants, who were often regarded as hostile to Anglo-Saxon Protestant values and controlled by the pope in Rome. Mainly active from 1854 to 1856, it strove to curb immigration and naturalization, though its efforts met with little success. Members were mostly average regarding education and wealth. The term Know Nothing came from the idea that if a member were asked about the activities or thoughts of the group, the member was supposed to reply, “I know nothing.” The movement peaked in the middle of the 1850’s when they won several elections in the northern states. However, the movement quickly disintegrated as the nation moved towards the civil war. How does this relate to modern America? Many of our fellow citizens feel the country is being overrun with immigrants, whether legal or illegal, whom some believe are taking jobs from legal citizens, using our national or state funds for “free healthcare” or setting up some type of religious fundamental training camp to one day take over the country. To the Know Nothings, the enemy and the root of all their woes were Catholics and other immigrants. Then it was the Chinese. Then it was the Germans during WWI. Then the Japanese during WWII, and on and on down the list including, oh my, that Catholic with the secret cable direct to the Pope, John Kennedy. And now it is Hispanics and Muslims. Why is there always some bogeyman who some feel is responsible for their problems in life? It is dangerous thinking and antithesis to the ideals we as Americans hold dear. To tie this all together, back to Mr. Springsteen for a moment In 1978, after enduring a struggle for his own artistic freedom with his first manager, Bruce wrote a song called the Promised Land for the Darkness on the Edge of Town album. Whether directly or indirectly, it shared the same title of a song written by one of his, and countless others, musical heroes, Chuck Berry, a man from a poor family living in a segregated St.Louis, Mo. Chuck’s version, written in 1964 and possibly influenced by Martin Luther King’s I Have a Dream speech in 1963, was about a poor southern boy dreaming of a better life in California and struggling to make his way across the country in search of that journey. In the later stage of his career, Elvis Presley, himself a man from a poor southern family, who also drove a truck for Crown Electric before setting the world on fire, recorded Chuck’s song and turned it into one of his last great rock recordings. Elvis Presley and Chuck Berry, in my mind, share the titles of the fathers of rock and roll, one of America’s greatest exports to the world in the 20th century and one of the great unifying forces in modern America life and one that greatly influenced the civil rights movement. 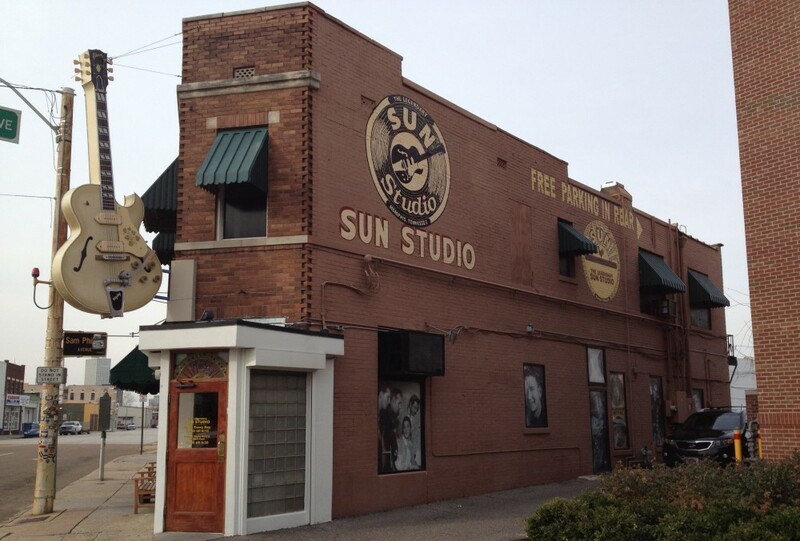 Elvis’ first recordings took place in a small Memphis studio called Sun Records which, ironically enough, was situated at 706 Union Ave. We could use a little more unity in our communities, in our states, in our country and across the world today. 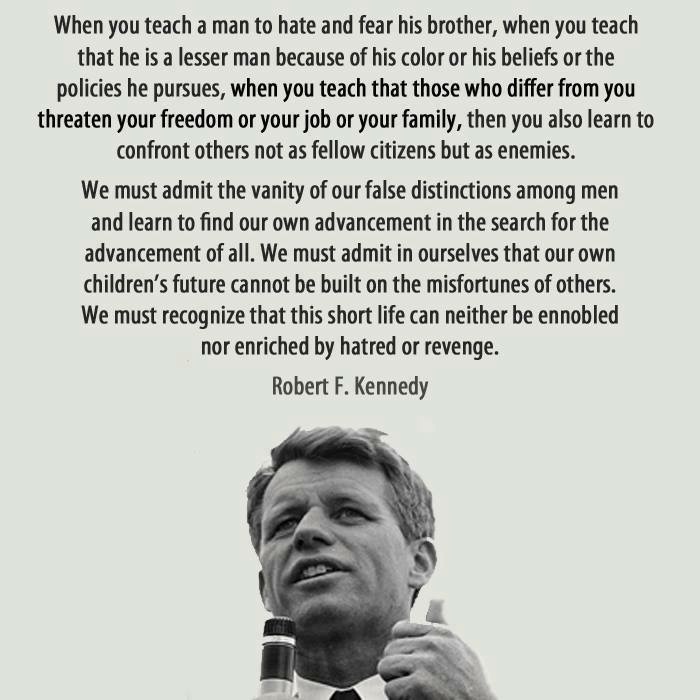 The sooner we can all recognize the need for understanding our common problems, discussing them in an intelligent and fair manner and attempting to find some common ground, the sooner we can start living up to the ideals our nation stands for. The ideals that caused so many to risk it all, to make that journey across the water so they could start their hopeful wandering. Oh, I believe in the Promised Land. This entry was posted in Uncategorized by rhilligoss. Bookmark the permalink. Beautifully written as always – and I couldn’t agree with you more. Thanks Jay. I think I may have a book buried somewhere deep inside, I need to focus and find it somehow.